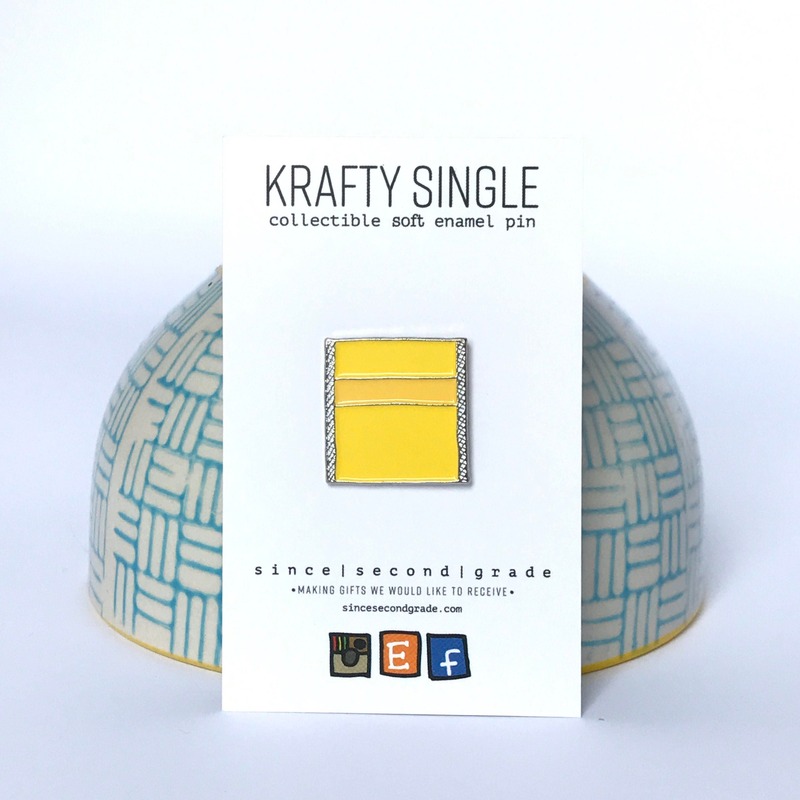 Krafty Single cheese slice collectible soft enamel pin. Black rubber enclosure. 20mm tall.